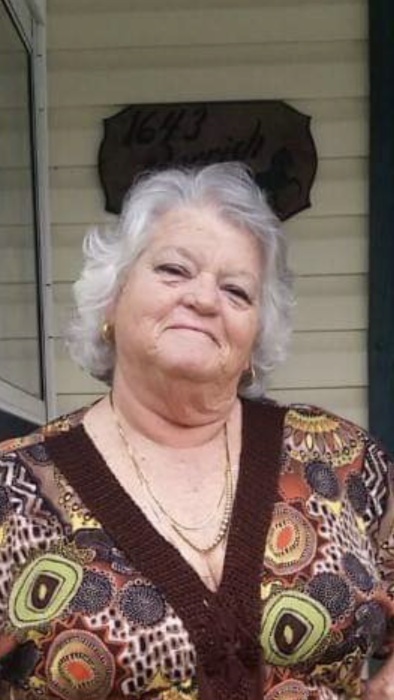 Charlotte Faye Carpenter, 68, of Owensboro, Kentucky passed away Tuesday, March 26, 2019 at Owensboro Health Regional Hospital. She was born November 16, 1950 in Ohio County, Kentucky to the late George Warden House, Sr. and Erma Lee Smith House. Ms. Carpenter retired from Thomaston Mills and had worked for Volunteer Services with Owensboro Hospital and was a caregiver for Lifeline. Aside from her parents she was preceded in death by a son, Bryce Evan Carpenter; a daughter, Alisha Gale Carpenter; two brothers, and two sisters. She leaves behind to cherish her memory, a son, Todd Carpenter of Owensboro; daughter-in-law, Paula Wilson of Horse Branch; four grandchildren, Christina Carpenter of Rosine, Racheal Carpenter of Owensboro, Chloe Carpenter and Colton Carpenter both of Ohio; seven great grandchildren; two brothers, John (Laura) House of Beaver Dam and Doug (Ovie) House of Morgantown, and her special friend, Roger O’Brien of West Louisville. A memorial service will be held at 11:00 A.M. Saturday, April 6, 2019 at Rosine Cemetery in Rosine, Kentucky. A dinner will follow at Rosine United Methodist Church. William L. Danks Funeral Home is honored to have been entrusted with the cremation arrangements of Ms. Carpenter. Online condolences may be left for Ms. Charlotte Carpenter’s family by visiting her memorial page at www.danksfuneralhome.com.